Our neck and shoulder heating pads measure 5 x 22 inches and were specifically designed for Shoulder and Neck Pain Relief. Over the years, we have continued to improve the design based upon feedback from our customers. You will find that our Neck Warmers feel great and are the ideal balance between weight, size, comfort and heat retention; providing you with relief for sore shoulder neck muscles. Our Neck Heating Pad is very popular because of the way it contours to your neck - it feels like a heated neck wrap. The reason it's so comfortable is because the corn is held in 5 different pockets, allowing the corn to move just the right amount. Sore Shoulders or Neck Pain From Too Much Time In Front Of The Computer? If you are like most of us, we spend too much time in front of our computer, reading a good book or spending time on our smart phone. When doing these activities, our posture is not the best, and the result is sore shoulders or neck pain. Neck pain can be caused by many different possibilities. Our Neck Warmer can be used as either a cold pack (it can be placed in the freezer) or a heating pack for pain. 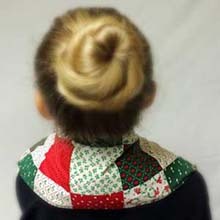 If you have inflammation, muscle spasms, muscle tension or strain, a pinched nerve, wear & tear due to aging, disk herniation, neck pain due to the flu virus, rheumatoid arthritis, meningitis, cancer or any other physicality that causes neck pain, our neck warmer may help give relief from the pain. 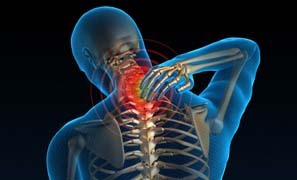 According to the Mayo Clinic, a good home remedy for certain types of neck pain is hot and cold therapy. If you suffer from these symptoms, our neck warmer is made just for you. Can be used Hot or Cold - Order One Today! Because our bags can be put in the freezer to be used as a cold pack and in the microwave to use as a heat pack, they may help as part of an overall treatment plan. Click Here to read the Report. Simply click one of these popular patterns below and a Heating Pad for Neck Pain will be added to your shopping cart. Click to Buy Click to Buy Click to Buy Click to Buy Click to Buy Click to See our Entire Fabric Gallery! Make Sure you Select Neck Wamer for the size. Therapeitic Use: Always consult your doctor if using any of our products for therapeutic or health related reasons. Please see our Terms and Conditions for more info. Years of Moist Heating Comfort and Pain Relief.